Timothy Walker, born 1943 at Durban, South Africa, is a world renowned guitar player, composer, and a master-class teacher as well. Being raised in the midst of a musical family -his father played violin and his mother played piano-, he began playing the guitar at the age of 12 and continued to gain knowledge and experiences from guitar masters like Narciso Yepes, Ida Presti, and John Williams. Timothy Walker has long been settled in London and was the guitarist with the London Sinfonietta and has played with the London Symphony Orchestra, the BBC Symphony Orchestra, Royal Philharmonic Orchestra, and Royal Opera Covent Garden along many other orchestras. 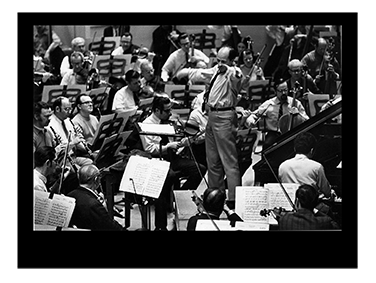 He has also worked with great conductors like Pierre Boulez, Hans Werner Henze and Walter Susskind. In addition to his solo career, Tim Walker is recognized as one of the foremost guitarists in the world of chamber music, and has encouraged composers to use the instrument more in ensemble works. He has played groups such as the Melos Ensemble, Ensemble Musique Vivants, the Nash Ensemble, the Lindsay Quartet and many other leading ensembles. He has performed in duo with John Williams, as well as with some of the world’s finest singers and instrumentalists including Robert Tear, Philip Langridge and Sarah Walker. 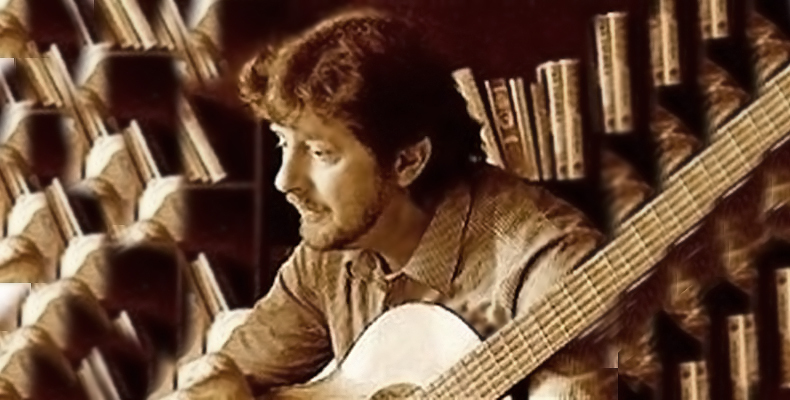 Now with over 30 recordings of guitar works made on his name, while also serving as a professor at the Royal Academy of Music in London, and still continuing to play and perform all over the world, he surely does have some stories to tell. And thanks to our UK’s representatives Ginastera Sianturi and Jonathan, we are very grateful he was willing to share them with us. 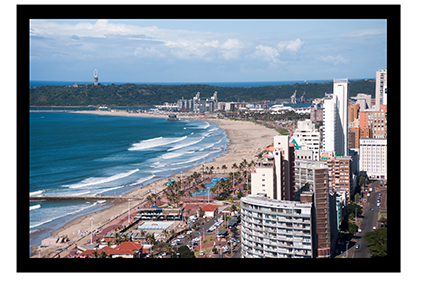 Listen to the World: You were born at Durban, South Africa, a region long considered to be among the birth place of African music. What kind of music are you familiar with from the region? Does it have an influence on your musical genre? Timothy Walker: From South Africa? Phew… really, I don’t know the names, if you had to give them names but like, township, kwella music..? And then you’d also have some groups, some of them playing on street corners, with string and base, you know, just one string and a broom handle, a box, a pennywhistle, other instruments, and someone playing a guitar. I don’t know if that has any particular of name to it, we just call it… folk music. Does it have any influence in your musical journey in your early years? Oh very much so. Quite a few pieces that I’ve played or I’ve composed… I think anybody who’s heard any of this African music of the type that I’ve been talking about will recognize immediately the kind of rhythm, strumming… and usually very simple melodically, but very lovely, beautiful. I come from a very musical family; my father played violin, and my mother played the piano. So I was listening to music every day of my life since I can remember, I would listen to Mozart, and Bach, and Beethoven… There was always something in the backdrop. My father was a music critic; he was a general arts critic for a newspaper, for a daily newspaper in Johannesburg. So he would have to review concerts, records, and he would have to make very good writing. But I was more interested in “cowboy music” (sic. ), stuff like… I heard Elvis Presley, “Heartbreak Hotel,” and I decided then I had to play the guitar. With “Heartbreak Hotel” (laugh). Classical music from its beginning has a deep relationship with the sciences, specifically with astronomy, geometry, mathematics, and architecture. In your opinion, how was the interrelation between these disciplines established? I’m not sure quite how that relates to me, except, I remember at school I once got 108% for Maths and uh, I figured that one out ­– well, I did [answer] more questions than I actually needed to in the paper. So I kind of liked… adding things together. And the next year I got 8% in mathematics, because the teacher didn’t like me and I didn’t like the teacher. So I guess I like… I’ve done a lot of modern music where you have to do a lot of ‘calculus,’ so if you’re talking to me personally I like mathematics as a sort of thing. I think mathematics is wonderful, I’ve even watched programs about Einstein’s theory of relativity without understanding at all what’s going on, but I still find it fascinating. You have experience in performing as a soloist, as well as playing in an orchestra-scale ensemble. Can you describe what meaning and function of each these two experience types for you? What, playing solo as being different to playing with an orchestra, or just as a person? Yes as a soloist, and on the other side as an ensemble. Well the thing is playing with an ensemble, ideally, you are listening to the others [playing] and they should be listening to you. Which is much more—if you like—how we are as people in society, relating to each other ideally as we listen and hear what other people have to say and hopefully they do the same for us. So I think that’s, that’s why we always encourage to do them [playing in an ensemble, red. ], and you hear a lot of people saying it is the most, it can be the most satisfying form of music making, because you bounce it off each other. Even if you learn a piece, learn all the notes, and you’ve got yourself a plan of how to do things, of course the weather can make a difference, all sorts of circumstances so you don’t always play it the same, which you don’t as a soloist anyway, either. But it means that when you’re with somebody else, you know you have to play along with them or against them. While when you’re on your own, you can always do what you like and hope that the audience likes what you do, of course, but it doesn’t require the same discipline. I never think it’s quite as rewarding actually in the long run. It’s great indeed, you know, the places, and you get the applause and it’s all for you; but as an all-around experience I think it’s nice if you can do things with other people. So would you agree that people have very become preoccupied with their solo careers? Because there are, um, far too many excellent, gifted young players around anyway and not all of them can make it, so perhaps it’s either an alternate way of looking at things, while there’s more possibility of a career with an ensemble? Oh absolutely! For sure, when I started, it was quite long ago now, there were really not that many guitarists, solo guitarists travelling the world; not many. So if you worked hard, obviously, and if you have any talent, there was actually a sort of chance to actually join that group of people travelling the world. The problem with the guitar is that the solo repertoire is very limited compared to, say, the piano or the violin. And so everyone is playing the same repertoire, or very often if people are playing a different repertoire, the music isn’t of such a high quality, you know and it doesn’t have the audience either. So, now it’s much more difficult than when I started to make it in a solo career. When I started, that’s what I wanted to do, was to be a soloist like Andres Segovia, and Julian Bream, and my teacher the great Narcisso Yepes; but then I kind of fell into playing ensemble music, and I hadn’t realized that, ‘gee, you know I really like doing this’, but today rather than fall into playing ensemble music, it’s something and that’s why at the Royal Academy where you are now, is emphasized quite strongly, and I think absolutely rightly, is that one should learn to play with other people, singers, other… duets and bigger groups. I mean for example when I, the first time I ever did something with a conductor I got sent this music and a friend of mine, an Australian we used to play duets, we got sent this music to play in a film, it was called ‘The Conductor.’ And we got the music, and it was really pretty easy for us to play, and a lot of rests also because there was some other people coming in. So anyways we arrived for the recording of this music for this film, ‘The Conductor,’ we were late which is, professionally, not the way to start off , ‘Be there on time!’, and we got to the recording studio and there was this orchestra of a hundred people, so suddenly we felt a little bit twitchy. And we sat down, and the conductor went up beat, down beat, and we played down there, and then the orchestra came in, played there. The conductor then said, ‘Stop, stop, stop!’ since we were a bit too soon. We had never worked with a conductor before. Now, this is a horrible experience for me. I will never, ever forget it, okay, but if I had come in to a place like the Academy I wouldn’t have had that experience because I would’ve learned what to do. So, you know, this is what you guys, here, could learn, and also working with other people, what to do, rather than finding yourself in a professional situation and making an idiot of yourselves, you know. I don’t know if that answers your question, maybe not, but anyways, it’s something. You have also collaborated with various world-class musicians and composers in the past. Can you tell us about one or two in which you gained great experiences from? I will always remember working with Pierre Boulez; he was an, amazing musician, conductor, and composer. It was at the BBC Orchestra, a huge orchestra, and he was, at one moment, he wanted just to rehearse the strings, double basses. There were eight, or more, double basses, and each one was playing a different line, we weren’t playing together; this was very, very modern music everybody played their own thing. And so they played this section, and when he said, ‘Oh excuse me, double bass number eight, you played that ‘D’ in bar so-and-so at the wrong octave.’ And the double-bass player looks at his part and that part, and said, ‘Oh sorry Mr. Boulez.’ We were playing the correct note, it was a ‘D’ and I really remember the note it was a ‘D,’ but he was playing it at the wrong octave. And this man could hear, even with all this jungle of notes, and he could hear it was the wrong pitch, even with all that…. So here it is when you work with somebody like that who knows, who really knows what’s going on, it’s fantastic. And yeah, some musicians are like that. And while others, are quite different. Also, you have created and played various musical compositions from all over the world starting from folk, classical, even to complex modern compositions. Is there something you seek to achieve from these experiences? And how does the public respond to it? What, playing folk inspired music? Yes, I mean from different genres, from folk, classical, until the complex modern compositions today. Sometimes as a professional musician you get asked to play something, and you get the music and you learn it and you play it, and you might not really like it at all, it doesn’t mean anything or doesn’t speak to you personally. But as a professional, you still have to do as good a job of trying to understand what it is the composer is trying to do, and sometimes you do understand but it still doesn’t move you or do anything. But you still have to do a good job…. So there are a lot of pieces that I have played, that I would never, ever choose to play but I get paid to do it so I do it as a professional; you have to make a living. But that’s one thing actually, I suppose, with playing solos, is that you get to choose the program that you want to play, you know. So it has happened sometimes, you get a job or a condition that you play at least by some, or whatever, but usually you would… choose the pieces that you want to play. And, it might depend… the program one chooses might depend on where, what type of audience that you’re playing for, or you just do, play what you… enjoy playing. And, I suppose if you have a broad range of interests that means that the repertoire you choose will be pretty broad as well. …(laugh) what have you seen in the last decades of music business? Are there any changes? And does it have an impact on the classical music “genre”? Well I think, you know with all the modern technologies these days, with the, going from um…. When I started playing it was just records and of course vinyl and, um CDs and now you can get things off of websites and stuffs like that, people can download – it makes it difficult to make a professional livelihood if you make a CD and somebody could put it on Youtube or whatever it is, and then download it or whatever the expression is, I’m afraid I’m not too supple on those type of things, so they don’t go out and buy your CD, so that, can make a big impact on one’s livelihood. Yes, there’s still that. And of course as a professional musician there are still other things, one could teach, compose, arrange, there are lots of things that one could do. But on the playing side, making CDs is – one needs to do stuffs like that to get known, but as far as making a living out of it, I don’t think it’s like it used to be. On the other side, in the musical education sector, in that context has there been changes too? What problems are being faced? And how do you personally face them? Well I think that, certainly, again just from the guitar point of view, because there are more and more good players and, not everybody actually have the ego, or the ambition, or whatever, to follow that through to, you know become a big time soloist or whatever; it doesn’t mean that there are more and more people who actually teach, who are of a good, or very good, standard. And that obviously has a big effect. Because you know, a kid could come along and be pretty talented, but for one thing they could be put off doing it at all if they have a lousy teacher; that’s one thing; or, they could have this very dedicated teacher. But these days there are more and more, good and very good players around who obviously perform which wasn’t actually the case. And this one is particularly my question um, we’ve almost got to the end of the interview; I’m looking at the other side of the world, particularly in Indonesia and surrounding areas. Every parent with a musical child is faced with a dilemma whether to apply pressure, or stories … seeing the willingness of the child to work, or whether to let things take their course with the possibility of equally dire results. And how was persuasion applied in your case? Yes, that’s a very tricky one because I mean for example I was very lucky. As I said before my father played the violin. And, well I guess, I think I was about five when I said, ‘I want a violin.’ So my dad brought home a small instrument, shortly afterwards I put it under my chin, and I went scrape, scrape with the violin, with the bow. And it was the most diabolical noise, I couldn’t believe what was coming out when I did this. I was always listening to Fritz Kreisler and Jascha Heifetz, great names of violin, you see, who made rather sweet and wonderful sounds. My father wasn’t a great violinist but, let’s say he could, he made—he had professional music in the dance fair, but he was more interested in classical music—but even though he didn’t make sound like Fritz Kreisler, not by a long run, but he sounded okay. So anyway when I went scrape, scrape it was the most diabolical noise so I said no, I don’t want to play this. Now I was very lucky because he said, “Okay, no problem.” He took the violin, fine. And later on I said, ‘I want to play the guitar.’ Now he could have said, ‘oh, well but you said you like the violin.’ But so okay he got me a guitar and I took to it, okay. I’m sorry, I don’t know if I’ve answered your question, it’s a very difficult one because parents so very often do these things with the best of intentions, but they, sometimes would do something stupid with the very best of intentions, while doing it for the wrong reasons. If they really loved their kids, then you know, they will make all these things available that they are able to, and encourage that talent, and… see what happens. If we should invite you to share your knowledge and do a performance maybe, in Indonesia, would you be willing? Of course, I would love to. Yes so, do you have any words for Listen To The World, and the younger generation? And if playing music is what you love to do, do it. It’s not easy, but hey, doing anything that is interesting is never easy, you know but um… I think, that’s it. If you love doing it, I mean you can do it without becoming a professional that’s, that’s one thing too, which is great, you know. I think, ideally, the best professionals are still amateurs at heart. Amateur, from the Latin, ‘lover’; you do it because you love it; so you need to keep that. That’s why, when you say ‘Industry’, I come to think of this smoke, pouring out into the atmosphere, you know, and making more problems that you don’t really need, and stuffs like that. That’s why I don’t like that (laugh), I don’t see playing a lot of notes as an ‘industry,’ I hear–but I understand perfectly the term, but it’s a terrible… but… that’s all that I would say. If you love doing it, you’ve got to find out and, if you are able to do what you love to do and make a living from it… and if you can’t make a living from it, I hope that, you know, one could still, find something else that you enjoy doing, and that’s very important, very important to do what you love to do, and be able to do that thing… but if you can’t make a profession out of it, then carry on, and… enjoy doing it. A Classical Guitarist and Sacred Bridge Foundation’s UK Correspondent. An intriguing interview. i like that he made a parable between good and bad habits, very much hit the spot on me!